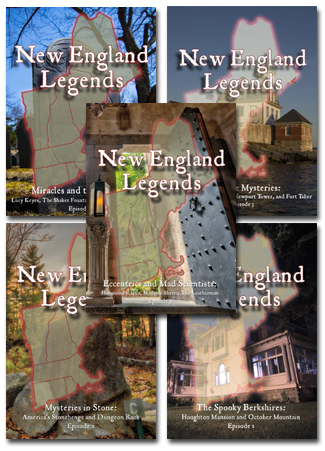 I first discovered history coming to life during research on my first book Cape Encounters: Contemporary Cape Cod Ghost Stories. Again and again, I saw how ghost stories come with the territory in the peninsula’s historical sites. When a former professor and fellow baseball author asked the question, “Are there any ghosts in the game?” it got me wondering why there aren’t reported ghost stories in past and present hallowed ballparks? If walls can talk in some of America’s most historic buildings, can the Green Monster talk at Fenway Park? Sure, like all Americans, I’ve heard ad nauseum references to the Curse of the Bambino and Chicago’s celebrity billy goat. I get teary-eyed during the father-son toss scene in Field of Dreams, and I have indulged in dozens of other films that feature the supernatural between the foul lines. So why not actual ghost stories in a game steeped in history, lore, and nostalgia? That mystery and others motivated my co-author Mickey Bradley and I to embark on writing Haunted Baseball. Over a period of two years, we interviewed more than 800 past and present major league baseball players (including Jim Thome, Derek Jeter, Jason Varitek, Johnny Damon, Alex Rodriguez, Omar Vizquel, Chipper Jones, Jay Gibbons, Mike Piazza, Michael Young, Derek Lee, Paul Konerko, David Wright, and many others) who would share their perspectives and experiences, both amusing and mysterious. The first of many surprises — for Mickey, a delight since he’s a Yankee fan named after the team’s legendary centerfielder — was how many current and former superstars are convinced that the ghosts of Yankee greats such as Babe Ruth, Lou Gehrig, Roger Maris, Mickey Mantle, and others are still present at Yankee Stadium. What’s more, they believe that these spirits “help out” in the late innings of big games, getting balls to sneak through an infielder’s legs, drop in the outfield for hits, or clear the wall for a timely home run. Former and current stadium workers at Dodger Stadium report seeing a misty formation drift across the field at Dodger Stadium at three in the morning, and hearing a woman in high heels walking late at night along the top deck in the empty ballpark. Fortunately for me, a diehard Red Sox fan, the Green Monster also spoke (or as one member of the overnight security put it, “it shrieked!”). We heard stories about the lyrical little bandbox from several Red Sox legends — past and present. Not to mention the aforementioned members of the overnight cleaning crew and the current PA announcer. In many ways, we felt privileged to hear these deeply personal stories — many of which had never been shared before outside of the clubhouse doors. And we felt humbled that players who were usually tight-lipped with the media opened up to us about the ghosts they encountered, how they slept with the lights on at certain visiting team hotels, or the goose bumps they felt passing through the tunnels in the old Tiger Stadium. For some it was a way to momentarily forget about the swirl of controversies in the game or in the clubhouse. While few players would name names of fellow major leaguers who took steroids, many of the players we spoke with wouldn’t hesitate to out a teammate with a ghostly tale. The tone of the stories we came across ranges from humorous to touching to downright bone-chilling. They offer glimpses into America’s own love affair with baseball and appreciation of the past, and provide an entertaining look at behind-the-scenes moments in the game and the daily mindset of players who spend long hours in the clubhouse and in visiting hotels. With a wealth of anecdotes that have never before been told, we tried to present a refreshingly different, entertaining and eerie look at our national pastime. Of course, in doing so, we hopefully shed unique light on America’s oldest tobacco-spitting tradition — ghost stories.